MArooned: MArooned Product Review: Dragon Leatherworks "FlatJack"
MArooned Product Review: Dragon Leatherworks "FlatJack"
BTW...the new holster has no name. I have pictures, but can't think of a name that doesn't sound dopey. I tried *flapjack* (a play on being a pancake holster), J-cake, Comet (was that an old Ford? ), Snakebite, ...but none of them grabbed me. I mulled it over, trying desperately to come up with something clever that would fit in with the DL Classic and the Fugly, as well as being evocative of function, IMHO. Then I put it on, and the name jumped out at me: FlatJack (like it? Hate it? Got a better name? Let me - and Dennis - know!). It's a play on the type (pancake) with a tip 'o' the hat to the functionality. I carried the Snubbie from Hell™ (Dennis is now curled up in the fetal position at this point) all weekend in this rig, covering it with a denim shirt, a Hawaiian shirt, and an XL polo shirt. 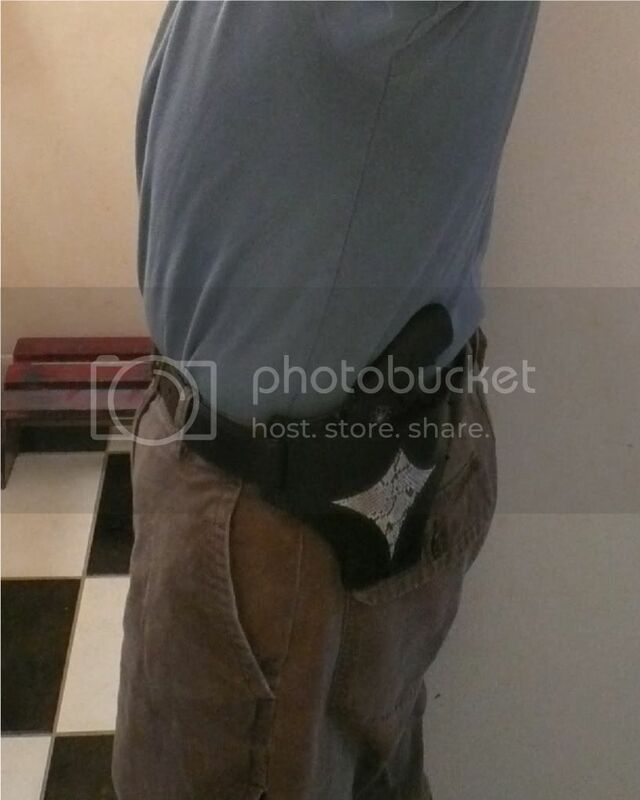 The holster works very well - it sits perfect, carries the gun in just the right spot, is adjustable for a wide variety of carry positions (3 o'clock, 4 o'clock, 5 o'clock, etc. ); it just plain works. Drawing is smooth and uncomplicated, and the thick leather holds the holster open for easy re-holstering (yes, I am writing my blog post as we speak...) It's a high quality holster offered at a very reasonable price by someone who understands what gunnies need and is eager and willing to work with the 2A community. I think this might just be the runaway hit of the summer! As we say here in MA, looks like a winnah! Too purty to be covered.